I’ve spent most of my life writing nonfiction. But I always dreamed of being a fiction writer. Now, at the age of sixty, I am making my debut as a fiction writer. My first novel is a book for middle-grade readers and it is based on a true experience from my childhood. As a young woman, I read fiction voraciously. I loved it when a story or a novel cast a spell on me and I had to drop everything and read breathlessly to the end. Whether it’s The Velveteen Rabbit, or A Tree Grows in Brooklyn, or the Elena Ferrante novels, the magic of fiction is still hard for me to describe, but the grip it has on my body and soul is undeniable. The problem I had was that I held fiction in very high regard. It was the genre I placed on a pedestal. Much as I wanted to write it, I couldn’t. Not well, anyway. Every time I tried my hand at writing a work of fiction it felt inadequate to me. I seemed to lack faith in my imagination. I didn’t understand back then that the imagination has to be given sun and water and be sung to by the sparrows, like a delicate flower. My last year of college I wandered into a class in cultural anthropology and before I knew it I had chosen a career that forced me to pay close attention to real life, nothing but real life. I don’t regret my decision. I got to travel. I made friends among strangers. My house is filled with art, pottery, rugs, and tablecloths from all the places I have been. Most important, I learned to listen to diverse people’s stories and learned how to pass on those stories in all their cultural complexity in my writing. But like an addict, I couldn’t help myself: I kept coming back to this crazy desire to write fiction. Late at night, or in the summer, I wrote stories and worked endlessly on an adult novel. I don’t think that writing was in vain. I was exercising my writing muscles. But it wasn’t until I sat down and began writing in the unpretentious voice of a ten-year-old girl that I felt myself swept away by the magic of fiction. Magic that I was creating! It was a story I had told before, in the form of a personal essay, as an adult woman looking back on a childhood experience, trying to explain and analyze it. I had spent a year confined to my bed in a body cast after a terrible car accident that took place shortly after my family and I immigrated to the United States from Cuba in the 1960s. In the nonfiction version, the story focused on the psychological and physical effects this period of forced immobility had on me. 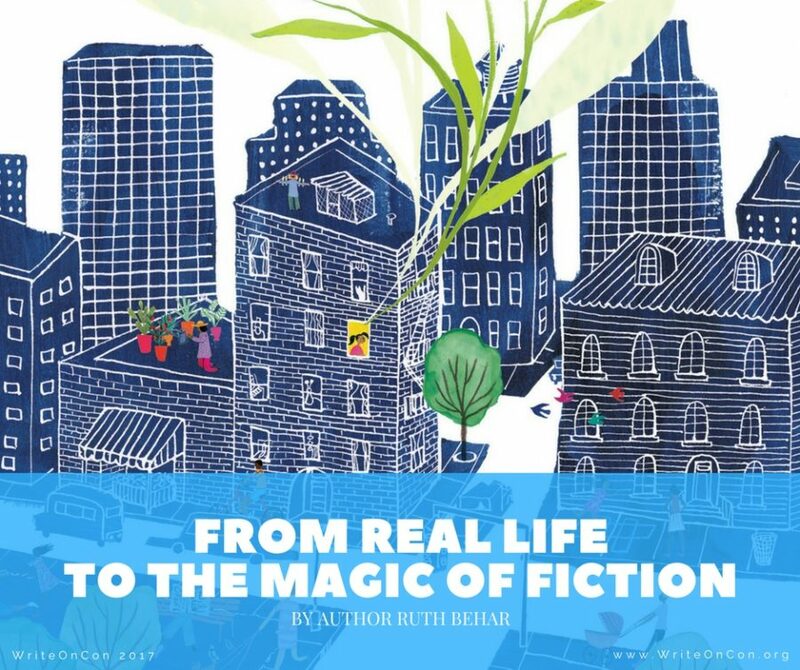 In retelling the story as fiction for young readers, I did something completely different: Ruthie, the child, lives the experience a day at a time, not knowing how things will end up. Her fears, her uncertainties, her loneliness, her sorrows, her desperation, her humiliation, her pride, her efforts not to seem pathetic and a freak — the rip tide of emotions unleashed by the change in her fate — are at the core of the novel. As soon as it was Ruthie’s story, rather than mine, I happily surrendered control to my protagonist. She’d been a Hopscotch Queen and now she was immobile and everyone pitied her. She’d learned English faster than her mother and felt very grown-up translating for her at the grocery store and now she was like a baby and her mother had to bring her the bedpan whenever she had to pee or poop. But her bad luck also brings her good luck. Her school sends a tutor to the house so she won’t fall behind in school and that’s how she becomes a girl who loves books and loves being smart. And she becomes smart in other ways, learning to feel sympathy for the boy who caused the car accident, learning to give thanks to all the people who try to help her heal — her family, her friends, her neighbors. The magic of fiction is it all seems real, though in fact it’s a heightened version of the real. Real life is inchoate. We can only give it meaning in retrospect. But in a novel everything must be meaningful in the present tense. Creating the imaginary world of a novel you write not simply about what happened but what you wished had happened. Throughout the year I was immobile, my bed was never moved, and years later I wondered why my parents hadn’t noticed that I was always staring at the same wall. But in the novel, a caring neighbor arranges for the ambulance attendants to take Ruthie out to see the snow. That same neighbor has piñatas hanging from the ceiling of his apartment, which utterly delights Ruthie. Or, to use another example, in real life I had a friend who accompanied me to school, carrying my books for me while I was on crutches. In the fictional recreation, she also gives Ruthie her go-go boots, an act of kindness that helps Ruthie to trust her legs again. She was a lovely friend; the novel makes her lovelier. Isadora Duncan once said, “If I could tell you what it meant, there would be no point in dancing it.” I think the magic of fiction happens in the doing. Once you are deep inside the world of your characters, you let them take the lead and you follow. You trust. You allow yourself to be surprised. You close your eyes. You slip into a dream. Things happened one way in real life, but in the fictional recreation they can happen another way. The magic of fiction is you can forgive everyone who hurt you and reward everyone who loved you. And it’s never too late to start. Thank you for sharing your story with us. I cannot even imagine what it must be like as a young girl to be “trapped” in a body cast for a whole year, though I know reading your book would help me imagine it. Thank you for your kind thoughts. I am astonished myself when I think back to the experience of being in a body cast. Writing the book allowed me to relive the experience and to heal in a deep way, as well as to honor all those who tried to help me during that difficult time. Thank you, Ruth, for sharing your personal and writing journey. Both are inspirational! I also just starting writing for children at the age of 60, after a career in business writing. I thought I would be writing educational nonfiction books, but find myself writing fiction to my surprise! It is magic. That’s such an interesting coincidence about our similar writing journeys and deciding to go in a new direction at age 60. Wishing you all the best! I love this post so much, and I’m SO excited to read you book, Ruth. Thank you for sharing your insights with us! Thank you for your kind words. Very appreciated! It was a pleasure to be part of WriteOnCon! I am also moving from nonfiction to fiction, in my late 50s, and was inspired and encouraged by your post. Thanks for sharing your story! Thank you, Brenda! All the best on your writing journey! !